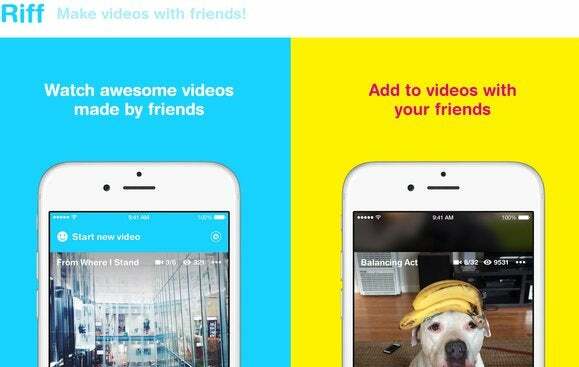 The company on Wednesday released Riff, a mobile app that lets people create short videos and then share them with friends. A video creation and sharing app alone is not unique—other services like YouTube, Snapchat and Twitter provide some other apps for this—but Facebook is hoping to distinguish its app by adding a strong collaborative element to it. After someone creates a video in Riff, that person’s Facebook friends can add to the video with a video of their own. From there, friends of the friend can add to it, and so on. This has the potential to give the video a communal effect, reminiscent of the Our Stories function in Snapchat that lets people watch videos taken by others during an event or over a period of time. But by opening up each Riff video to people’s friends, Facebook hopes the videos can take unexpected turns, and perhaps even go viral. 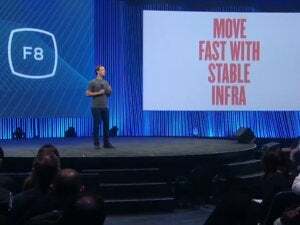 “We don’t know what a Riff is going to be good for, and our hunch is that we’re going to learn from the best ones in the community,” said Josh Miller, product manager at Facebook. After signing in for the first time, the app requires users to log in with Facebook. To create a video, the user assigns it a topic, like #munchies or #speechless. Then, after creating the video, the app gives users the option to share it to Facebook so their friends can see it in news feed. 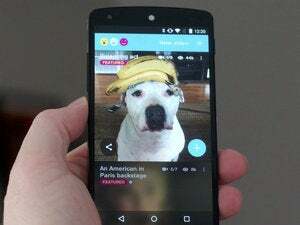 The video will also appear in the app itself, and the user’s Facebook friends who have the app will be notified that the user has started a video. Once a friend adds a clip to the video, that person’s friends will also be able to see the video and will be able to add to it. Each individual video clip can be up to 20 seconds long, though there is no hard limit for the combined video, a Facebook spokeswoman said. On the day of its launch, Facebook was featuring a few videos in the app. One showed cast members backstage in a New York Broadway show; another showed Facebook employees riffing on the idea of balancing something on their heads. Riff is available starting Wednesday on iOS and Android. 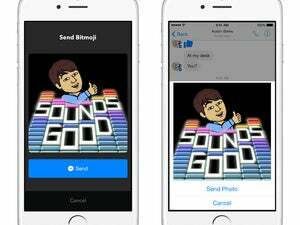 It’s another stand-alone app to come out of Facebook’s Creative Labs unit, which has also developed apps like Paper and Slingshot.